New York- Has Bridgegate made its way to Manhattan? 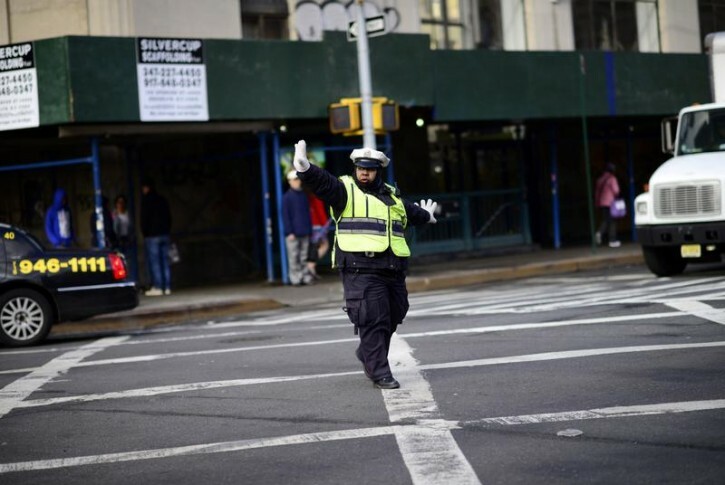 According to reports in The New York Post, a former high ranking official with the NYPD has charged that miserable traffic conditions in New York City are part of a plan crafted by former mayor Michael Bloomberg and continued by Mayor Bill de Blasio. “The city streets are being engineered to create traffic congestion, to slow traffic down to favor bikers and pedestrians,” said the unnamed source. Conditions have deteriorated since Bloomberg introduced a program in 2003 which prohibited turns from nine cross streets during weekday hours. Construction of new pedestrian plazas and bicycle lanes have eliminated traffic lanes, while redesigned roadways in key areas have been narrowed, creating congestion that leaves Manhattan motorists travelers averaging an exasperating 8.2 miles per hour. The two mayors have shared a common goal, said the source: getting frustrated drivers to ditch their cars in favor of mass transit and bicycles. A second source charged that the NYPD has reassigned traffic agents over the years, further exacerbating the problem. While the NYPD refused to comment on the allegations, de Blasio spokesman Austin Finan categorized them as “absurd,” saying that the unprecedented gridlock is due to tremendous growth and record tourism in the Big Apple. Bloomberg started this trend across NYC ! Unintended (dire) consequences: Ambulances, police, fire trucks, and other emergency vehicles are also slowed down, with dire consequences. Maybe they feel that this will result in less drivers to drive polluting vehicles. Just another ploy bybthe left to 'save the environment '. That's what you get from democrats!